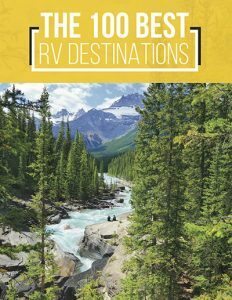 Top 9 Items Your RV Is Gonna Need! Congratulations! You did it. You have bought your first RV. Now you are ready to hit the open road. Or are you? The truth is before you get out on the open road there are a variety of items you will need. Your RV comes equipped with a whole lot of stuff, but there are a few more essential items you will need for a successful RV trip. 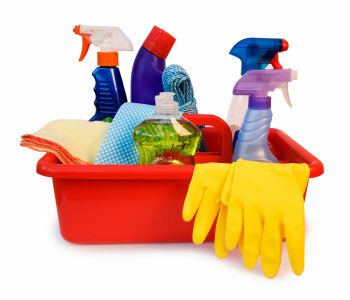 Let’s take a peak inside at the top 9 items you are going to need for your RV. 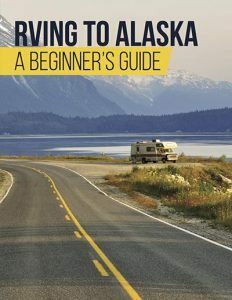 You may or may not have received a courtesy starter kit when you bought your RV. These kits often include items such as a potable water hose, a water pressure regulator and a roll of RV t.p. If you are lucky, you might have scored a sample pack of odor control for your black tank. If you didn’t get a kit, don’t feel left out because aside from these items, there you’re gonna need a lot more! Most RVs come with a complimentary sewer hose. Nice right? Except for the fact that it is often way too short. n fact, it’s usually so short that you have to be a super hero to maneuver your rig that close to the dump site. The first thing you are going to need is a REAL sewer hose. Choose one that has high ratings, a quality feel, and will last for years to come. You will also need a sewer donut. This rubber seal connects between your sewer hose and the dump outlet so that the odor is kept contained. If you don’t fancy a sewer donut, you can also choose an elbow adapter with multiple seal options. 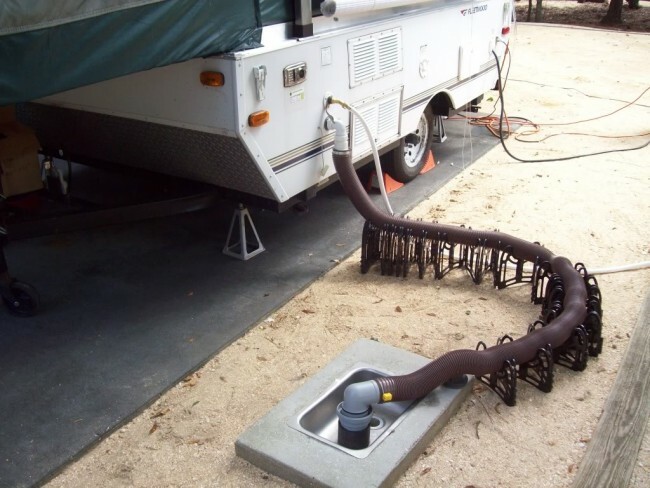 While we are talking about the sewer hoses, be aware that some campgrounds require your hose to be kept off the ground by a sewer hose support (also called a slunky!) This caterpillar type unit lifts your hose a few inches off the ground, and folds up easily when not in use. Disposable gloves and an extra garden hose are also a good idea. Your white hose is your drinking water hose. Be sure to keep the hoses in separate areas so things stay sanitary. Your extra hose will be used for the occasional flushing out of your black tank. Depending on how you plan to access TV, you will need a variety of items. 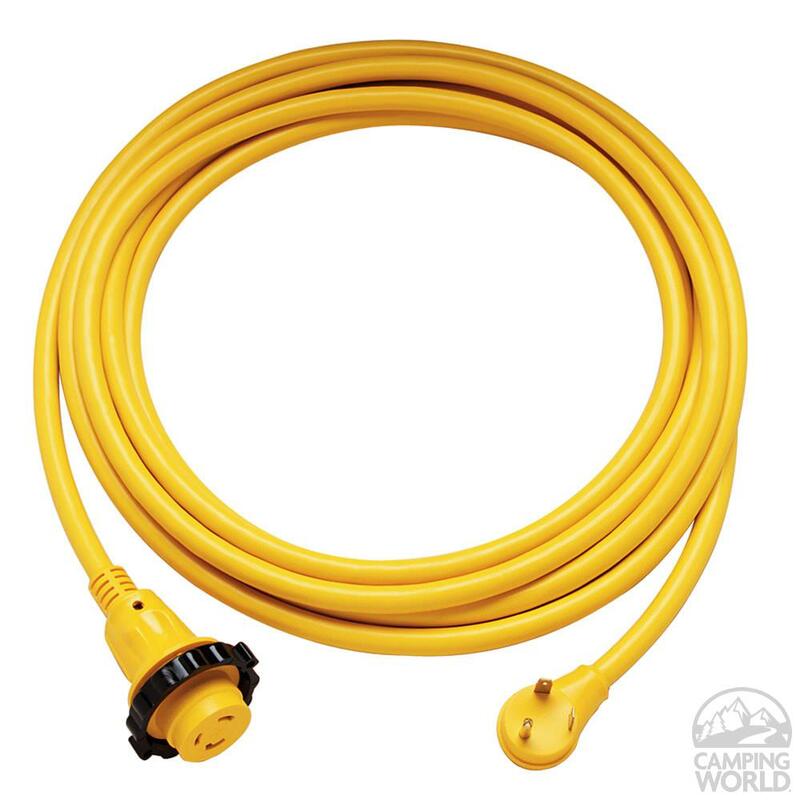 If you want to use the cable in RV parks where they offer it, you will need a long coaxial cable. This will allow you to connect to the outside cable box and bring it into your rig. If you want to use a traditional RV antenna, make sure your RV has a new HD digital antenna. Plan on watching movies? You may need a Blu-ray player. A Blu-ray will play both DVD’s and Blu-ray disks. Some units will also stream Netflix and Hulu. Satellite TV is a great option for those who love certain channels. 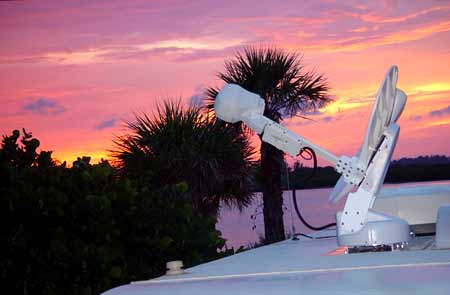 The Tailgator Satellite Antenna is the most popular set up because it can be moved around the outside of your RV and pointed at the nearest connection. Satellite receivers on the roof can often be blocked by trees. If you plan to stay in an RV park and you have a dish on your roof, be sure to let them know before they assign you a site. Another item of choice for entertainment is a portable radio. This can be a NOAA weather radio that will give you emergency alerts as well as play music in the background. Satellite radio is also an excellent option, and you may want an indoor and outdoor receiver. Want to listen to music outside? Consider a portable bluetooth speaker that will wirelessly hook to your music source for hours of relaxing or up beat tunes. Moth balls for keeping bugs out of your RV. Place them in the closet and in jars under the RV. Garbage sacks of various kinds. *Tip: use plastic cereal containers (remove the lids) around your RV for extra garbage cans. They are narrow and fit perfectly in tight spaces. A broom, dustpan and vacuum cleaner. *Tip: my pick is the battery operated Dyson Animal. It picks up everything! Ladders are also important. You can hook them on the back of your RV, or put them in the basement storage. Either way, they are great to have then you need to get on top of your rig or unhook something from your awning or roof. Your closet needs huggable hangers. The kind covered in felt that keep clothes from sliding off while you are driving. Zip lock bags, storage bins, and storage drawers can work wonders in your closet and drawers. 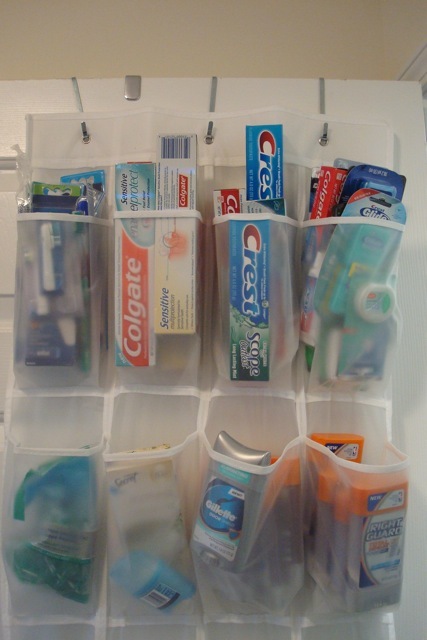 Plastic shoe holders work for a variety of things, including a shower caddy. You can put makeup in one and hang it under your sink. Remember, you will need far less clothes in an RV than you wear in a stick and bricks home. Plan to roll your clothes and place them on end in your drawers. This gives you the ability to see the clothes without them taking up a ton of space. Personally, I like to separate items with zip lock bags. That way if I need socks, I grab my sock bag. It’s quick and efficient. The best items for an RV always multi task appliances. 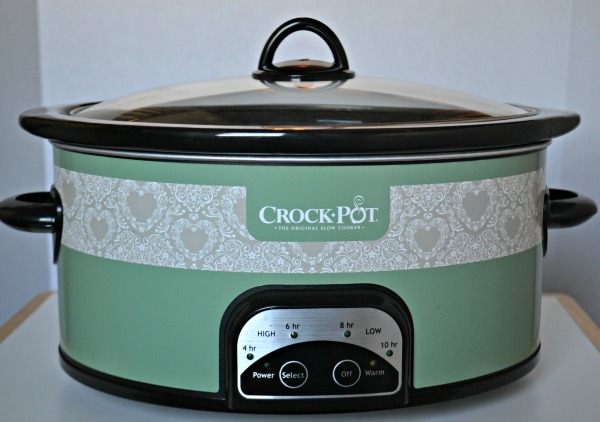 A crock pot is good, but a crockpot/rice cooker/pressure cooker is even better. Choose items that will work inside and outside, but are small and easy to store. Pots and pans should stack easily and have removable handles. Plastic storage containers are great, but storage containers that collapse down to half size are even better. Look for silicone options for man kitchen items to minimize size. Ziplocks and food savers are an excellent way to pack your frozen food. Lay the food flat and freeze it. You can stack your items easily on top of each other. You will also need inexpensive fridge and freezer temperature gauges and fridge levels. If your fridge isn’t level, it won’t work! Another important item in your fridge and freezer is refrigerator bars. These are basically a tension bar that keeps your food from shifting off the shelves while you drive! 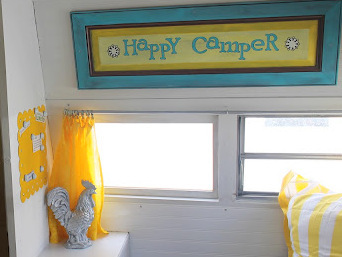 There are two items that every RV owner must have if they plan to customize their rig. The first are Command Strips. These babies come in every shape and size. You can use them to mount hooks for keys, picture frames, or small pieces of art. They are removable and do not damage the walls. In short, they are awesome. The second item is Quake Hold. This silly putty-like substance has been used in museums for decades. Take a small bit of the putty and place it under decorative items. Now your items will be stay in place while you drive. Quake Hold was designed to hold artifacts still during an earthquake, and since and RV basically has an earthquake every time it drives down the road, this is a must have product. There are several important power supply items you will need for your RV. First and foremost in an extension cord. Make sure you purchase one that matched to amps of your RV (30 or 50 amps). If your RV is 50 amps, you will need a way to reduce the power to 30 or even 15 amps in a pinch. This item is called a dog bone adapter and it is important! Don’t leave home without one! If you plan to RV off grid you may want to invest in a portable solar kit which would allow you to generate your own electricity for your basic needs. A battery trickle charger is a great item to use when storing your RV. If you don’t keep those batteries charged you may have trouble come summer. 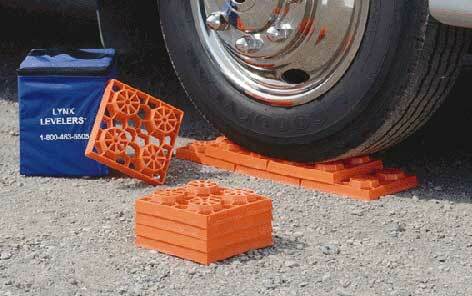 You will need some form of leveling blocks even if your RV has a built in system. It’s always best to have something to secure your space just in case. Eventually there will be leaks. They are inevitable. 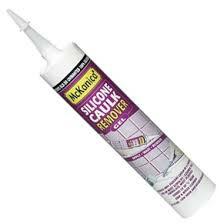 Having a tube of silicone and a caulk gun will make your life a lot easier! What else do you think every RV needs? Leave your thoughts in the comment box below. We love hearing your ideas. Once you have shared your thoughts, please send this article to a friend. Post it, pin it, tweet it and send it out to everyone! Thank you.